Pay transparency, variable pay, and retention are some of the key priorities for companies in 2016. We know, because we asked nearly 7,600 business leaders in the U.S., Canada, and beyond to tell us their plans and top concerns for the coming year. 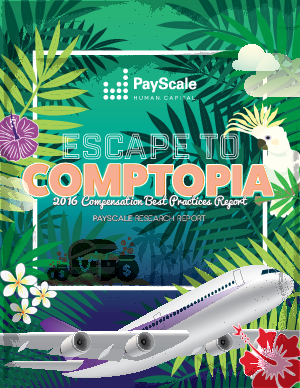 We’re calling our in-depth report “Escape to Comptopia,” because we believe making compensation decisions with data and best practices is the passport to more idyllic pay practices. Download it now and learn what you need to know about compensation in 2016.